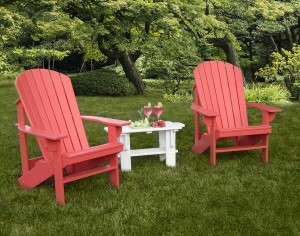 Classic, comfortable and colorful, the Adirondack chair was first designed in (where else?) the Adirondack Mountains. 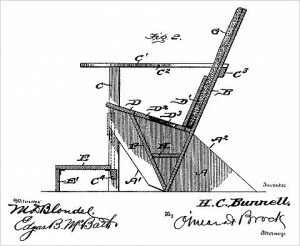 Around that time, a man by the name of Thomas Lee was trying out various designs for what would become the namesake chair of this area. 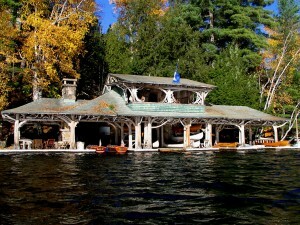 He had his family test several different styles while they were all spending the summer in Westport, a small village on the west shore of Lake Champlain. The rest, as they say, is history! They found a design that they all agreed upon and now these solid, practical chairs are found nearly everywhere. 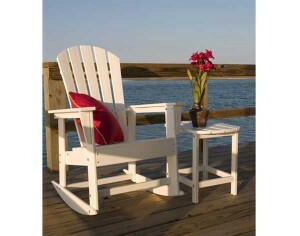 Adirondack chairs generally share three essential components; a fan shaped back that is made of several slats, a slightly sloped seating position and wide, flat arms. But, once you get past those necessities, it’s doubtful that Mr. Lee and his family could have imagined the wide number of styles, colors and materials that his chairs are now made of. For instance, our shell back chairs in polywood are both incredibly durable as well as vibrant and fun. The range of colors can spice up any outdoor living space. Some homeowners might want to match the color to the exterior of there house and out-building, while others might get more adventurous and mix and match them for a funky rainbow effect. Red cedar has always been a popular material for these chairs as well as other outdoor furniture, due to its natural resistance to insects and rot. 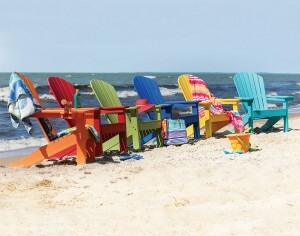 Our cedar Adirondack chairs also include rust-resistant zinc-plated steel bolts — and, if you’d like even more protection from the elements, we’ll custom stain your chairs with cedar tone stain/sealer. For extra comfort on those balmy summer days, add a footrest and a cushion so you can really stretch out and relax in style! And it goes without saying that we carry a full line of side tables to match your chairs. 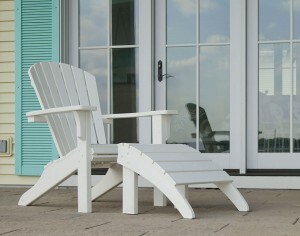 One feature that Mr. Lee probably never envisioned was the ability to fold an Adirondack chair for easy storage. Our treated pine Adirondack chairs save space in your garage or shed during the off-season, then open easily once you move outside again in the spring. This particular version is available in (wow!) 19 different paint or stain colors, so you’ll certainly find one that’s right for you. 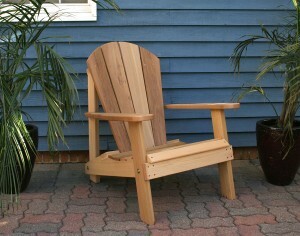 Finally, there’s one more Adirondack chair component that wasn’t part of the original design: rockers. From a rustic “stick style” rocker…to an elegant white rocker made of polywood — and others, if you like to “rock on,” we’ve got your chair! For over 100 years, the Adirondack chair has been a staple of lawns, gardens, porches, seaside resorts and elegant mountain hotels. If you haven’t got at least a couple on your property, what are you waiting for?